The Hallman Evolution RX Boost Controller kit contains the same features of the Hallman Pro RX Valve. This valve is integrated into a self contained 72 inch cockpit controller cable system. The self contained cable system will allow the user to control and adjust boost from inside the car. This new system makes it very easy to set initial desired boost level as there is no need to stop the car, open the hood, make an adjustment, and then drive the car and see what boost is. Then repeat the process if boost is not at desired level. The Hallman Evolution RX Boost Controller kit has a ceramic ball instead of the 316 stainless ball that comes in our other valves. The ceramic ball only weighs a fraction of what the stainless steel balls weighs. This weight difference allows the ceramic ball to act very quickly as it is constantly changing directions during operation. The ceramic ball in conjunction with the use of a lighter spring will allow very fine adjustment of boost up to 4 to 5 pounds of boost over stock. Boost has been able to be adjusted in half pound increments very consistently with this valve. This kit was specifically designed for those that only wish to add a few pounds of boost over stock and have a great amount of control over those few pounds. This is the kit that we recommend for RX’7s or other vehicles that are sensative to overboost situations. 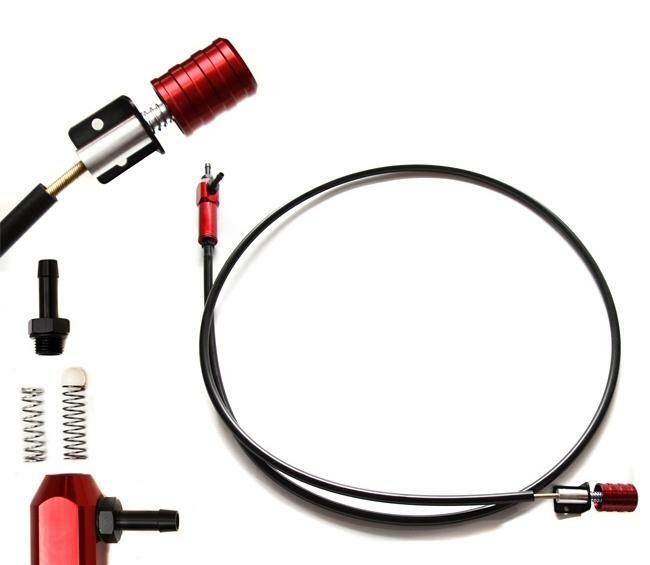 This kit also includes the heavy spring for those that would like add more than 5 pounds of boost and want to take advantage of the ceramic ball. The Hallman Evolution RX Boost Controller kit contains the Hallman Pro Valve w/ ceramic ball, light and heavy springs included, Standard Barb Fittings with 3 feet of vacuum line or -4 AN Fittings no lines included, mounting bracket, hardware packet and complete installation instructions all in one kit. The Pro RX kit was designed to allow very specific control of boost. Kits are available in Black, Red, Blue, Purple, Silver or Gunmetal.